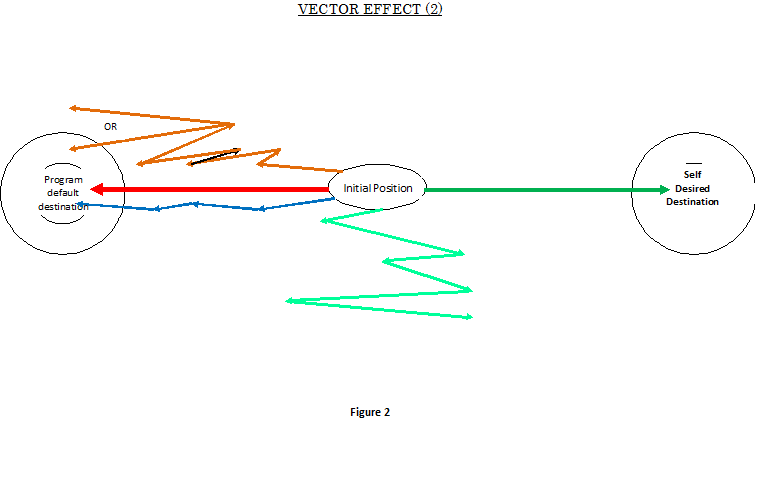 Have not received any feedback on my interpretation of the first Vector effect figure. Please do respond as it is a very important aspect to assess what is really happening with our children’s education. 1) The Creator, if any, is a passive entity. 2) There is no involvement of the Creator in the running of the human activities in this life. 3) No importance of human soul, if at all he has any soul. 4) Human is an animal at a higher evolutionary stage. 5) Human is only responsible to other humans in this world. 6) Human has to take care of the nature for the progress of life on earth. 7) The moral standards are set by human, and any act will be considered illegal if it harms another human from the materialistic view. As such morality is man ordained, and not God ordained. In taking the above assumptions the west has developed all educational interventions on purely secular philosophical or ideological outlook of world, and with purely secular psychology. The educational curriculum, all educational tools and literature have been developed to reinforce same philosophical and psychological assumptions. Because this is what they believe, or want to believe. And since they have focused a lot on the effectiveness of their developed educational tools, they are very effective in achieving their objectives. Is there any difficulty in understanding this aspect? Does anyone consider this an under or overstatement? So far whenever I have talked to an Islamically oriented educationist they agree fully with this. The problem starts when we start discussing on the solution from Islamic perspective. Since they seem to have very little clue, and seem to be so impressed by the western education system, I see them nervous leaving this system and involving in any practical change in the foundational issues of education. Renowned Muslim psychologist, Malik Badri, shows his surprise that when the communists can design their own education system and the capitalists theirs, why can’t we Muslims? This is a big surprising question for me as well. I am sure it must be as surprising for you all as well. The gist of the above logical discussions is that any system that has been so intricately and time-stakingly designed on above assumptions will certainly create an efficient human resource for running that system. And will most certainly clone like minds. Few additions here and there or using a subject or two, to give an entirely opposite beliefs as compared to the default belief of the system, will only create confused minds. Can anyone see any logic in this? This is what is depicted by the second vector effect figure. I shall Insha’Allah talk more explicitly (descriptively) about this diagram in my next e-mail.